Kindly refer to the poster for exact details on his talks schedule. This entry was posted in Forest Way on November 27, 2016 by wayadmin. This entry was posted in Forest Way on November 18, 2016 by wayadmin. 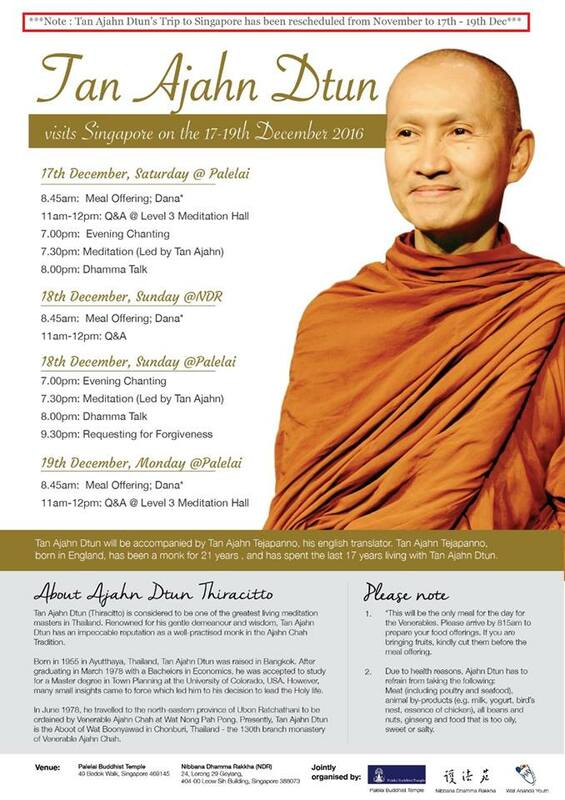 Ajahn Cattamalo’s dhamma visit to SG will be shifted to mid Jan 2017 this year. Do visit our website or Facebook page ( WAY Singapore ) for more updates. This entry was posted in Uncategorized on November 6, 2016 by wayadmin.